17 photos of the Far North portion of a Wirral Railway Circle tour from Crewe to Wick and Thurso behind class 24s 5127 and 5129. 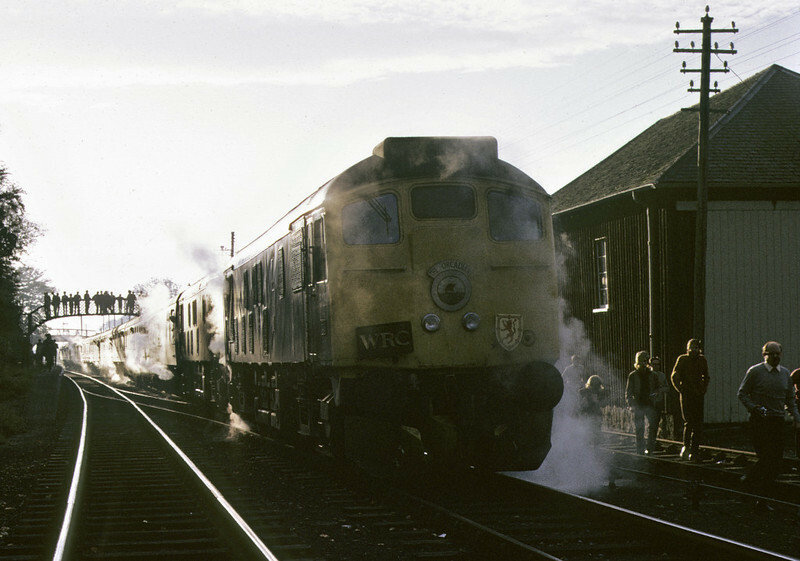 5129 & 5127, Tain, 7 October 1972. The Wirral Railway Circle railtour stands at Tain in the early morning sunshine after running overnight from Crewe. The locos had probably taken over at Inverness. They became 24129 and 24127, and were both withdrawn in 1976. Photo by Les Tindall.